Victory has been scored by the Republic! The Sujimas sector has been secured in the Galactic Campaign. In this issue of the 501st Newsletter, we take a look into the region of Sujimas and the planet of Pantora that the 501st has been fighting for. Once again the 501st News Team works hard to bring you the latest information from the front! This week was a hard fought week for the company. Several Avalanche platoons were redeployed to defend against Separatist counter-attacks. Victory was achieved when Avalanche performed several ground assaults and denied land control to the CIS, with the help of Razor and the newly formed Mynock detachment. Mynock was utilized for the first time during this weekend’s campaign operations as another layer of support to ensure a 501st victory, with their training in mortar support and our troops had the honor of BC Jay fighting at our side. Our troops held the line very well and ensured a hard fought victory. With this victory the 501st has finished the Pantoran Galactic Campaign objectives when “The Hand”, a Separatist T-Series Tactical Droid pulled out and fled from the system. Remaining operations to be conducted on the planet will remove any routing CIS stragglers from the system as their leadership has withdrawn. -Elements from Razor and Acklay celebrating the recent victory over the CIS on Pantora. 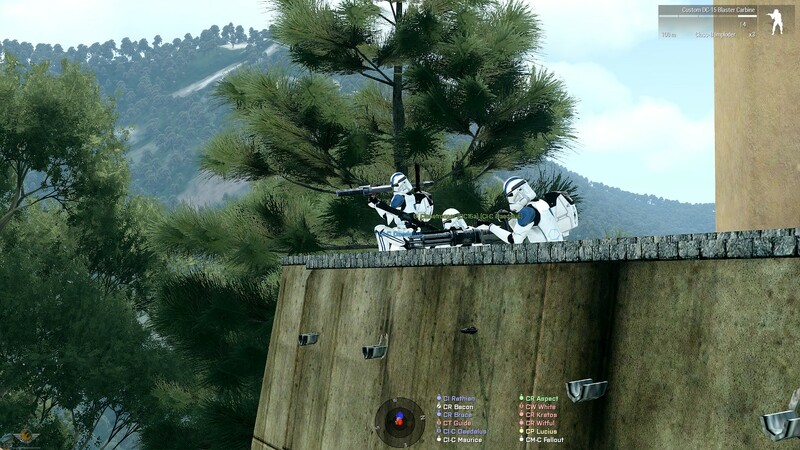 In the past few weeks the 501st Legion has been deployed to the planet of Pantora, which has been the current phase of a very important struggle to remove the the Confederacy’s presence in the system. 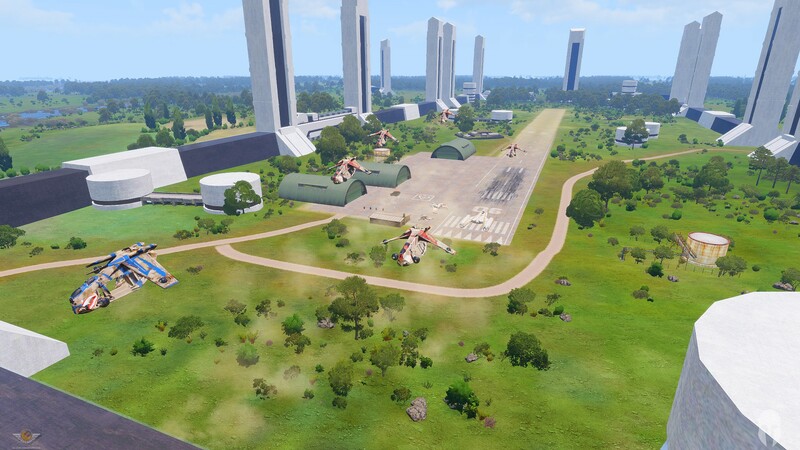 Located within the Sujimas sector, Pantora is a very humid, but habitable planet, filled with marshes and swamps with variable amounts of farmland and urban centers. Pantora is home to the Pantorans, a human-like alien species, which are known for their blue skin, that makes them often get confused with the Chiss. The Pantorans are a democratic society and are led by the Pantoran Assembly, they are also members of the Galactic Senate. The current representative for the Pantorans is Senator Riyo Chuchi. The Pantorans are a fairly new members in the galactic power scene, only coming into power a few decades ago. The Kazaraki were once the galactic power in the Sujimas sector, and even had a large presence in the Galactic Senate. This all changed when a comet struck their planet, Kazarak. Afterwards in the resulting power vacuum the Pantorans came to power. The Pantorans have been seen to be using this new found power to spread their influence, which has moved the Kazarki and set them down the path to join the Confederacy. That is the situation where we find ourselves today, our struggle in the Sujimas sector is important, no longer is it just about it’s strategic value but our actions on the battlefield will be felt by billions of Pantorans across the galaxy and the many other inhabitants of the sector. With our victory, we have effectively won the sector, while it was not a clean victory, it was hard fought and unfortunately, the 501st Legion did not capture The Hand, or remove the foul presence of the Kazaraki. With this loss, the CIS will surely regroup their forces and threaten other places in the galaxy, just like the Sujimas sector. Tune in next week for more information regarding the campaign and any updates from the 501st Legion. You can bind a key to drag people. Under controls > custom controls > ACE common > drag/release. Lieutenant Euler is known for talking in his sleep. Writers and Journalists: CT Sense, CT Daku, CX-X Koop and CT Stone.